This pub is both hard and easy to find. Set within the beautiful New Forest, this small country pub has a welcome larger than its size. Take the Rufus Stone exist off the Ringwood road and then the second left and follow the road round. Don't get scared and turn back, you will get to it if you follow your nose. Entering from the front or side, this pub is very friendly and cosy - a welcoming atmosphere when you have been walking in the wind and rain. This tiny hamlet of Fritham was once busy with more than one hundred workers producing smokeless gunpowder at Schulze's Gunpowder Factory. Using New Forest charcoal, the factory was in operation from 1865 to 1923 but all that remains are a few buildings and 'Irons Well', an artificial pond created by the factory and now a picturesque lake surrounded by wooded banks. In medieval times there was a holy well here which was reputed to cure leprosy. The main bar has a real fire close to the bar which warms you as you order. There are hand pumps here, but the real ale is served directly from the barrel. There is a flat bar back, that resembles a trestle table with mixers set out on it. A blackboard above the bar spells out the food of the day - prices around �5.95 - though they have a large selection of crisp type nibbles. There are stools at the bar, but you cannot sit here to eat. In this area there are a number of tables for up to 4 people on a bare floor. Down a couple of steps past the side door is another seating area with another huge inglenook fireplace. Smaller round tables and stools here, bare brickwork and pictures on the walls. Steps up lead to another seating area with square tables and chairs, that was a little barer. There is now a covered courtyard area to sit outside in inclement weather without having to take off your dirty boots. Beers on at the time were from small micros and were all well kept and served. 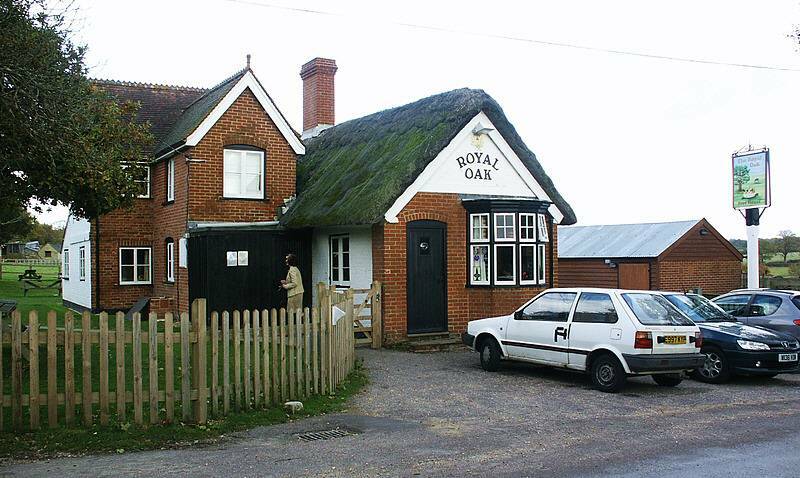 The choice was impressive for such an isolated pub, no wonder it has won CAMRA awards. Food is served at lunchtimes only and is usually ploughman's, soup and pies. Food occasionally served on Mon/Tue evening, but ring first. Portions are a little small, but the cheese choice is good. The pub gets a little busy at peak times and it can be hard to get a table for food, so be patient. Toilets are outside across the covered courtyard, as are facilities for horse riders and walkers. Do stop by here and give your support to a good pub. Access for the disabled is difficult. Friday evening is music evening.